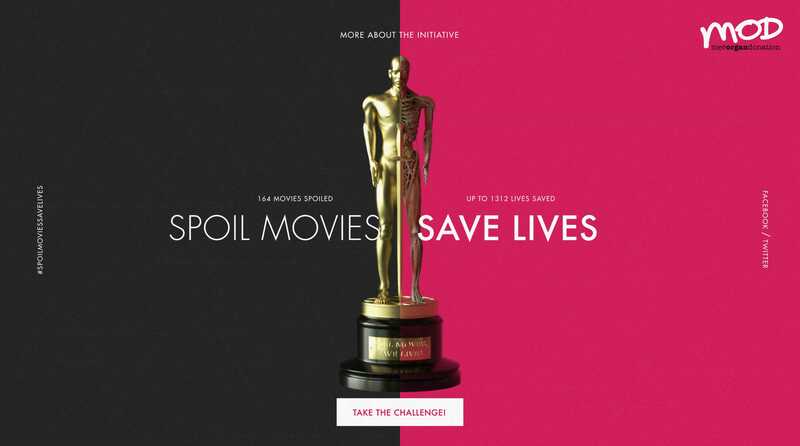 One Pager hosting the initiative "Spoil Movies, Save Lives" by Swedish organization MOD (More Organ Donation). Once you share (on social media) you are a donor, you get a spoiler from one of this years Oscar-nominated movies. A unique marketing campaign, thanks for the notes on the client feedback. The biggest challenge was making sure we could convey the idea without showing too many of the statue’s organs (given how sensitive and potentially distressing of an issue it is) but still keep things interesting and engaging. We’re quite happy with the end result.